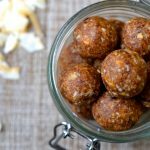 Back by popular demand, it’s another energy ball recipe! Energy balls have become a staple in my daily diet, replacing the much less nutritious high calorie snacks I used to eat. 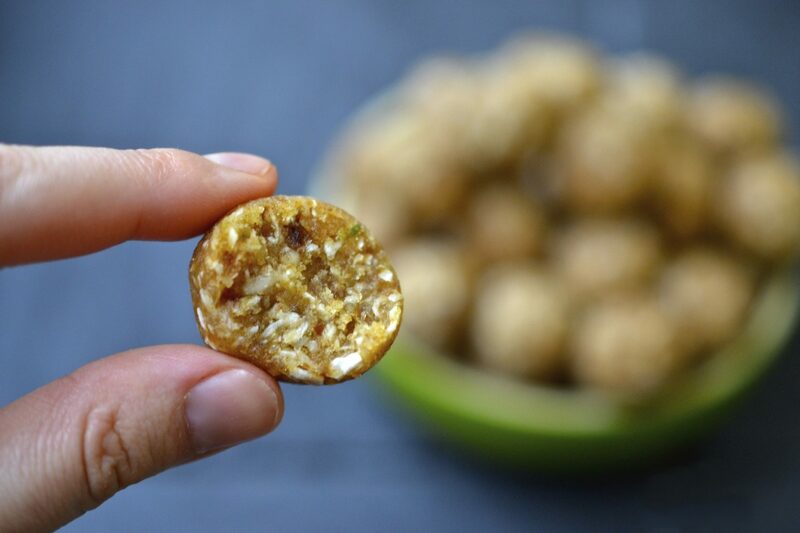 I absolutely love how fresh these Key Lime Pie Bites taste. 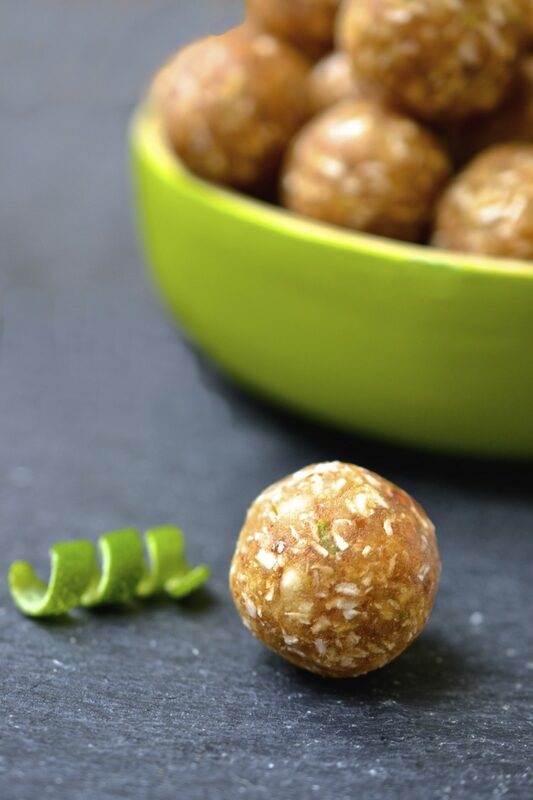 If you like the flavours of key lime pie or a margarita then you will love these delicious tropical bites. 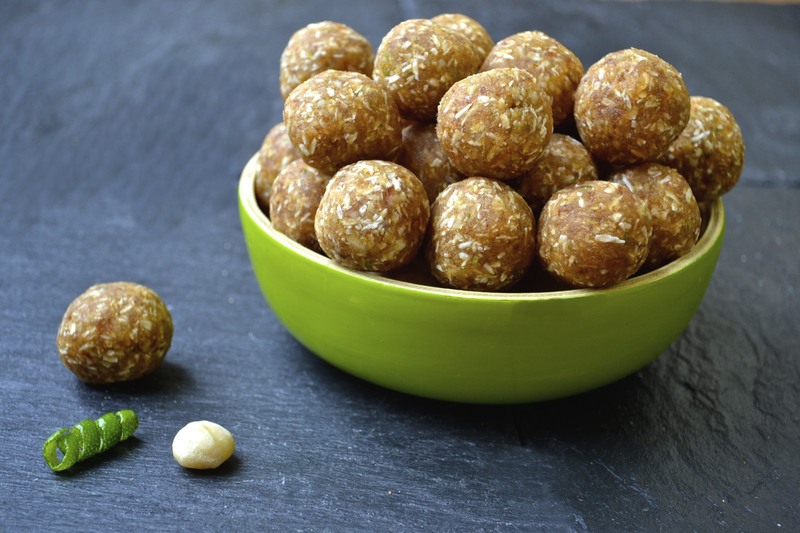 Each ball contains just 5 ingredients; macadamia nuts, coconut, lime, dates and a sprinkle of salt. They take less then 15 minutes to prepare and are completely fool proof. 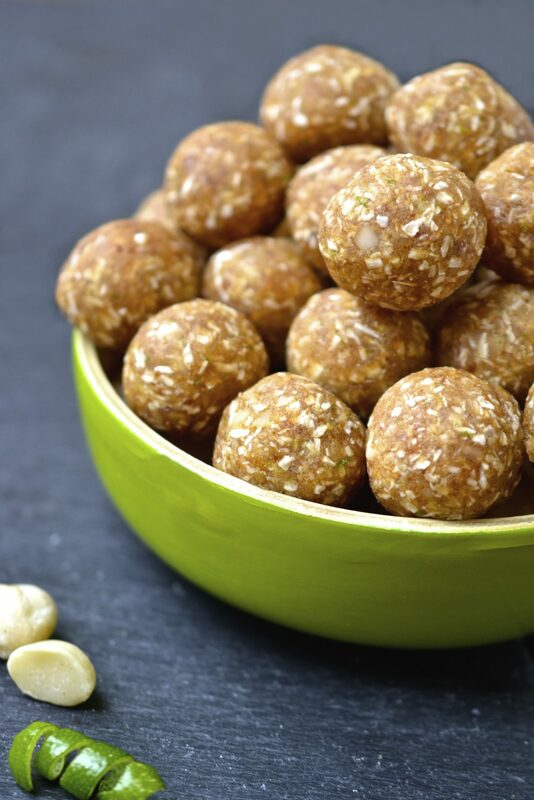 I love using macadamia nuts which add a delicious creamy crunch to each ball, but if you are unable to find them or prefer a cheaper option, cashews make a great substitute. 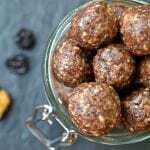 Store these energy balls in a zip lock bag in the freezer and enjoying one or two as an on the go snack when you are in need of an energy boost. I have received a few comments from people who have struggled to grind up the ingredients (especially the dried fruit) into small bits in their blender. If you don’t have a food processor and are using an appliance that might not be as strong, I recommend cutting the dates into small pieces and grinding them up first before adding the other ingredients. In a food processor or blender add the dates and blend until they have broken down into small bits. 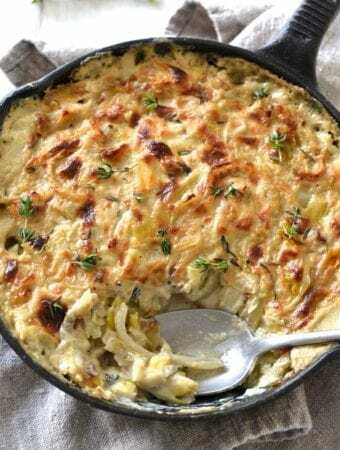 Add in the macadamia nuts, shredded coconut, lime zest and juice and a pinch of salt and blend until a smooth batter like consistency has formed. I always use unsweetened coconut in my recipes ???? Thank you! These were a hit over the holidays! Awesome! So happy to hear you liked them! Do you have any recipes that are nut free? I’d like to make something like this for my family but I have a son with a nut allergy. Thank you! Great question Dawn, I have a recipe for tropical fruit bites which are delicious. 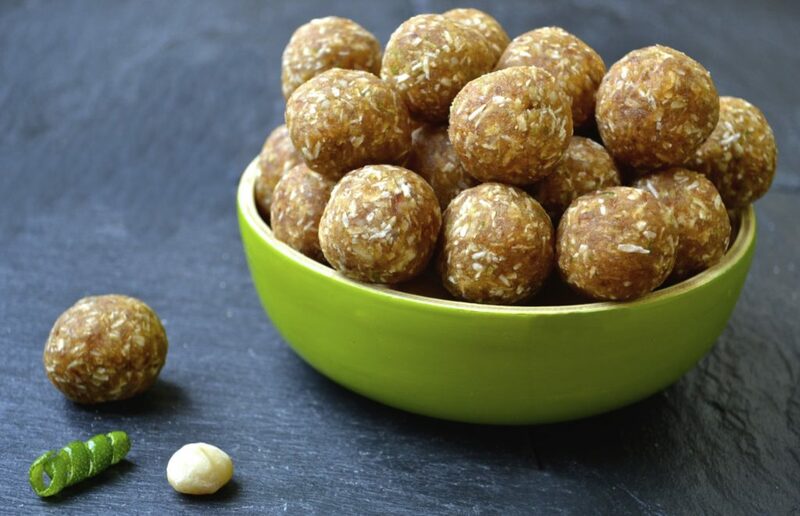 Alternatively I think that sunflower seeds would be a good alternative for nuts in any of these energy ball recipes – Cherry & Tahini Energy Balls, Banana Bread Energy Balls or Coconut & Ginger Energy Balls. I actually think the coconut and ginger one might be the best as there is such a small amount of nuts in the original recipe that you would have to replace and you could even just slightly increase the amount of coconut to get the correct texture. I would like to soak the cashews before making these to help with digestion, but I’m concerned the dough will get too wet and sticky. Any suggestions for how I could counter a wetter dough if I soak? Thanks! Great question, I would increase the amount of shredded coconut by 1/2 to 1 tablespoon. Roll a test ball to see if that helps and if not I would suggest adding a bit of coconut flour to absorb some of the moisture. I love eating these key lime pie balls frozen so if you are going to store yours in the freezer there is no need to worry about the mixture being too wet. Just made these and I’m in LOVE!!! I used cashews because I had the on hand. I just purchased a food processor and this is the first thing I made! So excited! By chance do you know the nutritional value for them? Thanks in advance!!! Is the 3/4 cups of dates measured after its been processed? No, pack the dates whole into your measuring cup as best you can and then process them. I love the idea of the lime flavour but don’t like coconut. Is there something else you could use instead? 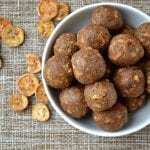 I think you could get the same sort of texture as coconut by grating almonds or brazil nuts. Let me know how it goes! 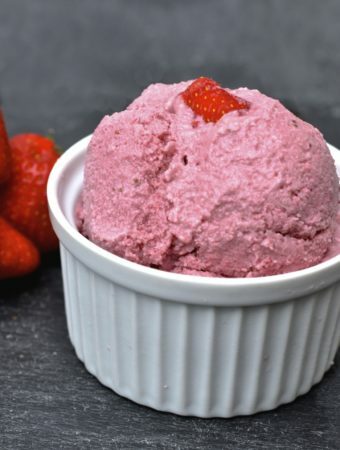 Wow – I just made these on the advice of a friend and they are sooo yummy. Not at all “health food” taste, just delicious like a little bit of Key lime pie. 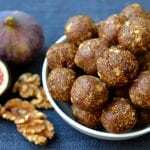 Slow adapters (like me) for Energy balls should definitely try these! Thanks for sharing your recipe. And as one other reader wrote, the blender is difficult, a food processor would be much better. Guess I will be buying one of those tomorrow! Thats so great to hear! 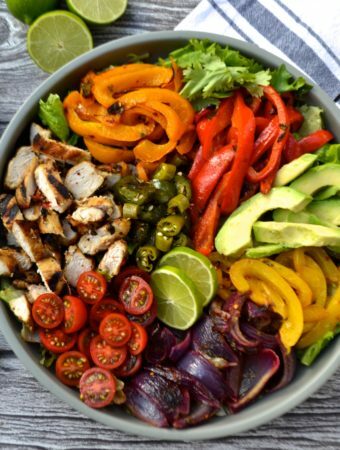 My favourite kind of healthy foods are the ones that don’t taste healthy at all :). 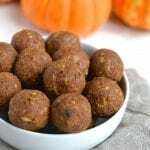 Unfortunately using a blender is a bit more challenging with these ingredients, if you are short on space in your kitchen (like i am) a hand held blender with chopping bowl attachment is perfect for making small batches of energy balls. Would any other type of nut work in this recipe ? You could use cashews in place of macadamia nuts. I also think Brazil nuts could work although they have a stronger flavour which would give the energy balls an earthy taste. These sound amazing! Do you think I could sub sunflower seeds for the nuts to make it nut free? Or any other suggestions? Thanks Laureen, I think sunflower seeds could work, the key is to use an ingredient that has a mild flavour and won’t overpower the lime/coconut. I loved the coconut and lime combo! Can’t wait to try more! Wow, I was skeptical at first but these have an amazing key lime flavor. I will definitely be reaching for these when I’m craving a sweeter snack. 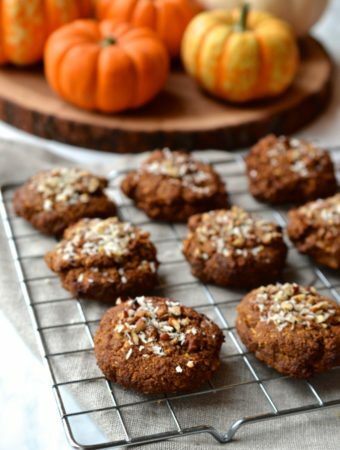 These are great for someone who tries to eat paleo!! Thank you. I’m so happy to hear you like them Glen! 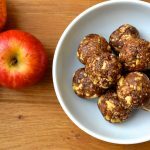 I have a few other dessert flavoured energy balls you might like as well including Apple Pie, Fig Newton and Banana Bread, they have saved me on many occasions when I have been in desperate need of something sweet! Key Lime Pie made healthy!?!? Um, yes please! I totally agree! 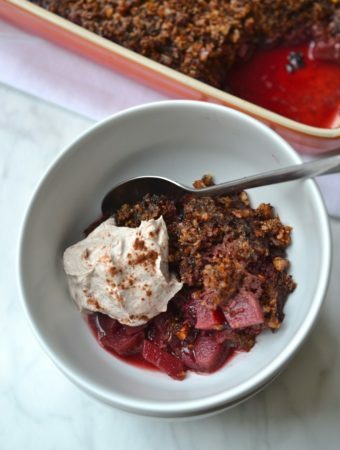 A healthy dessert with a lot less guilt!